Obama was in Hawaii the other day… wonder why? Am I the only one who thinks it’s a little too coincidental that Obama met with the Hawaii judge who stayed Trump’s 2nd travel ban?? Flashback to the Bill Clinton / Loretta Lynch “chance” meeting on the plane. 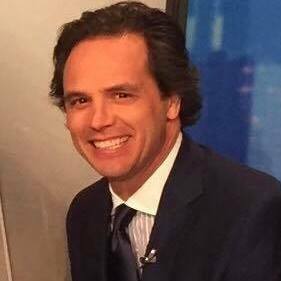 Author and political pundit, Tom Del Beccaro talks about flipping a blue state to red. If GOP had a specific plan to implement an issue that the people care about. Why are GOP always playing catch up? Democrats realize that victory is in the perception. If Republicans want to make big changes, they need to invigorate their base instead of staying in WashDC and fighting with Democrats. Is Nemo the luckiest goldfish? Pet survives for 20 minutes out of water after being mauled by cat. And the person who found him took him to the vet… who promptly began running tests and taking an xray, because that’s what you do with a goldfish, right? Los Angeles officials tell ICE to stop calling themselves police. They need to check the definition of police.